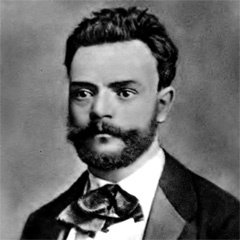 Antonín Dvorák wrote his two most popular pieces during his early 1890s stay in the United States—the “New World” Symphony and the Cello Concerto. Their heart-melting melodies, infectious and thrilling rhythmic ideas, and emotionally complex use of the orchestra make both works among the most beloved in the orchestral repertory. Their mega-success made the Czech composer into a “two-hit” wonder. But they’re just the tip of the Dvorák iceberg.